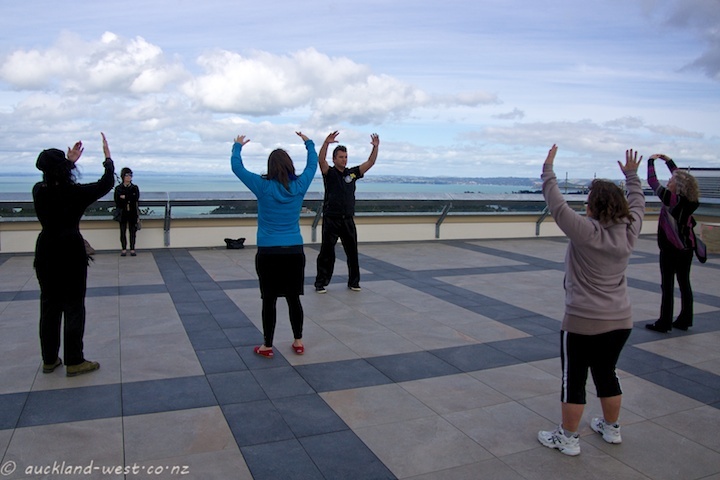 Quintin Derham has free lunchtime Tai Chi sessions on the rooftop of Lopdell House (Friday, 12:30 to 1pm, weather permitting). The best view and expert guidance. Here a “breath of the heart“. As spring is approaching, I notice again the appearance of “cuckoo spit” on some of our plants (in particular the leaves of a ngaio bush). 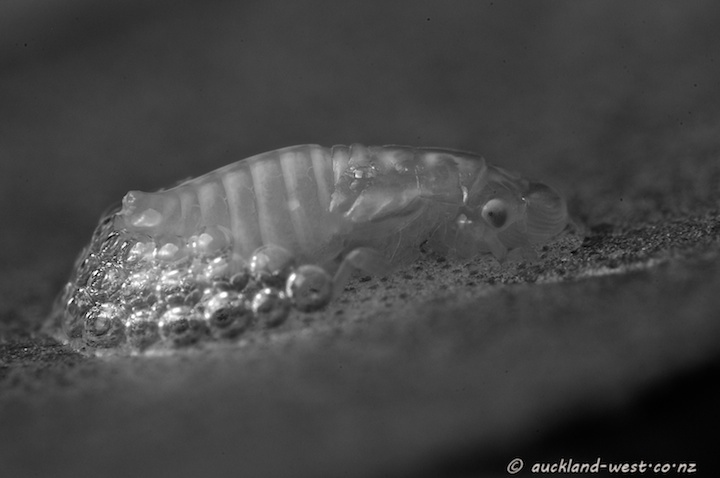 The frothy lather is the work of the nymphs of froghoppers. 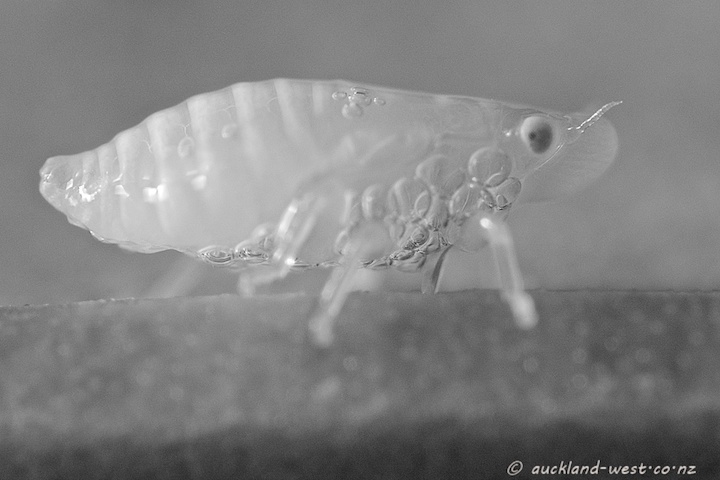 Several years ago I decided to have a closer look, using reversed lenses. 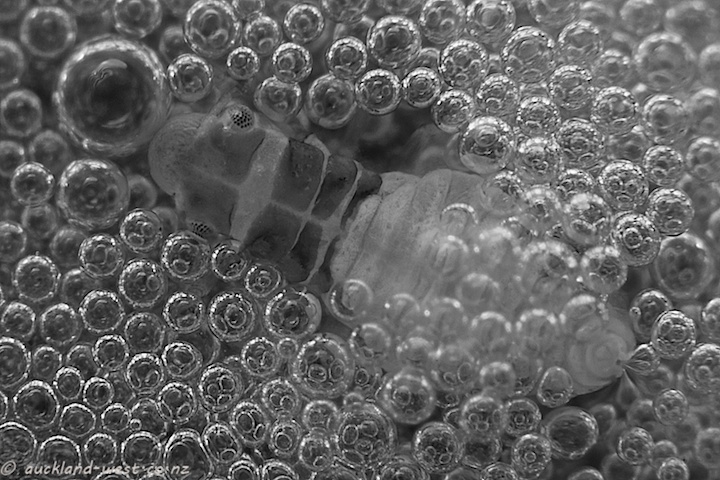 In this picture we look onto a nymph (a few millimetres long) and the bubbles it created around itself (to retain moisture and to protect against predators). In the last picture one sees the proboscis, used to extract copious quantities of sap from the leaf below; the sap is then pumped out at the other end in the form of bubbles. Fascinating to watch if you make time for it. Kids exploring in three dimensions. 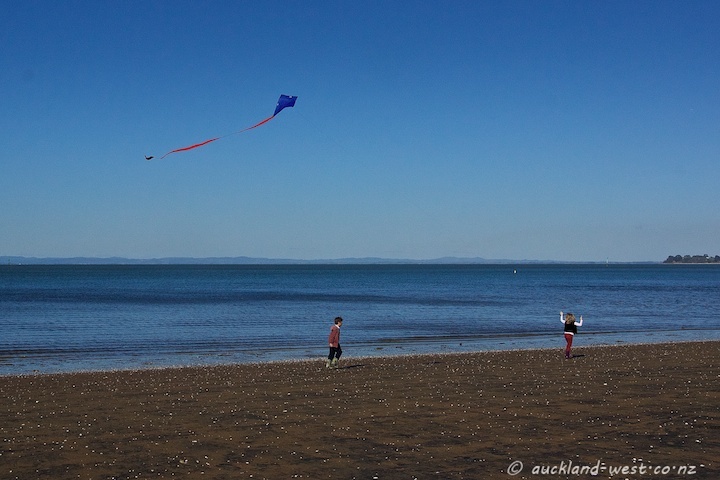 Cornwallis Beach. 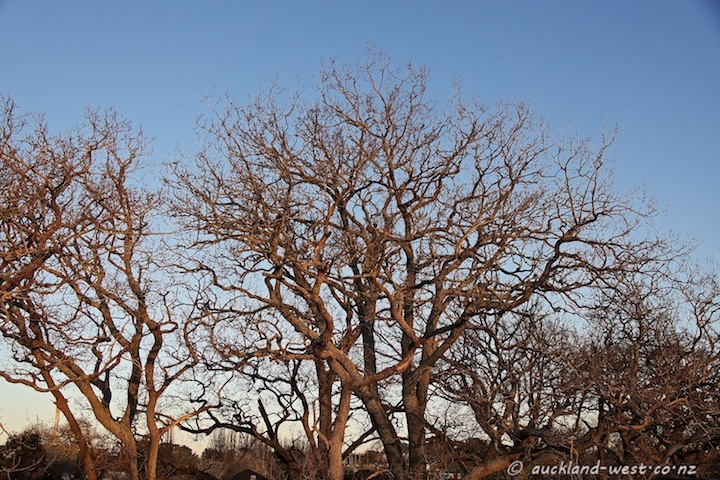 Oak trees at Waterview, last light of the day. 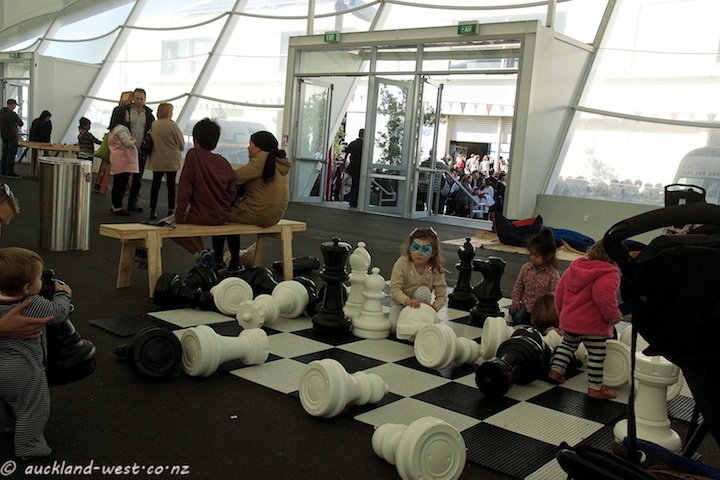 The Cloud on Queens Wharf was a (relative) haven of peace when we went to check out the “Street Eats” at Shed 10 last Saturday. 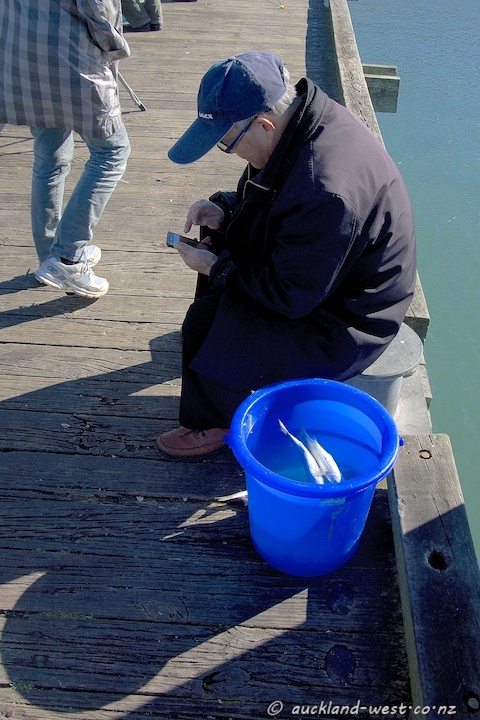 Unfortunately, the places where the action (and the food) was, were hopelessly overcrowded – so we departed after a brief nosey. The tide was going out when we visited Cornwallis on Sunday. 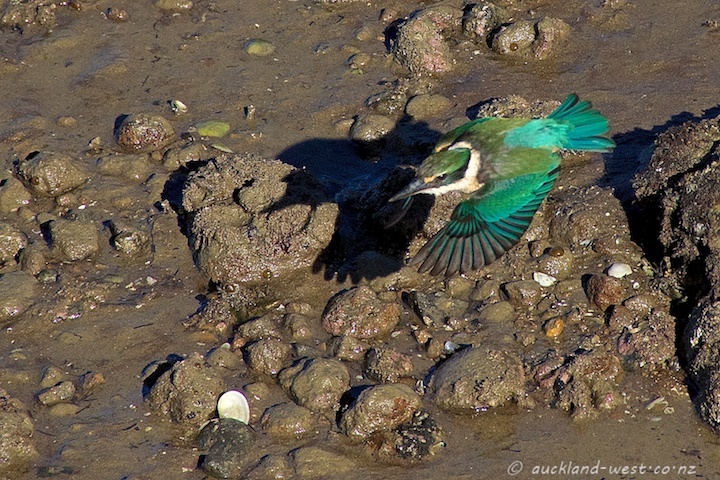 Kingfishers (kōtare, Halcyon sancta) find themselves a perch on a rock, scanning the beach for any movement. With great accuracy they dart forth to pick up crabs and similar delicacies. Where are the slings? 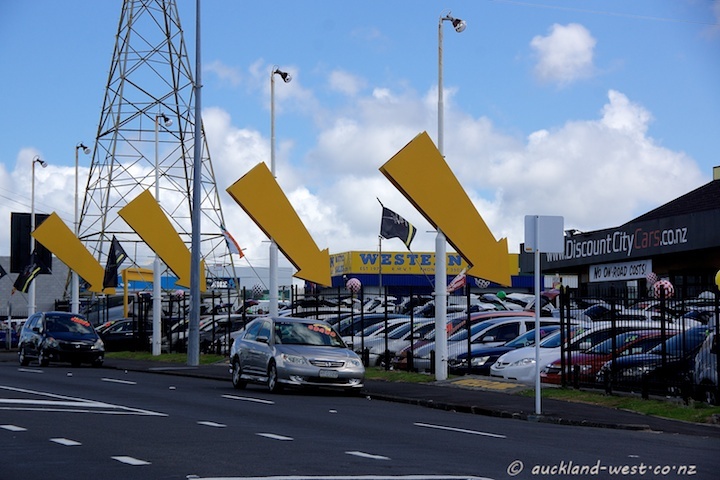 Great North Road, New Lynn. 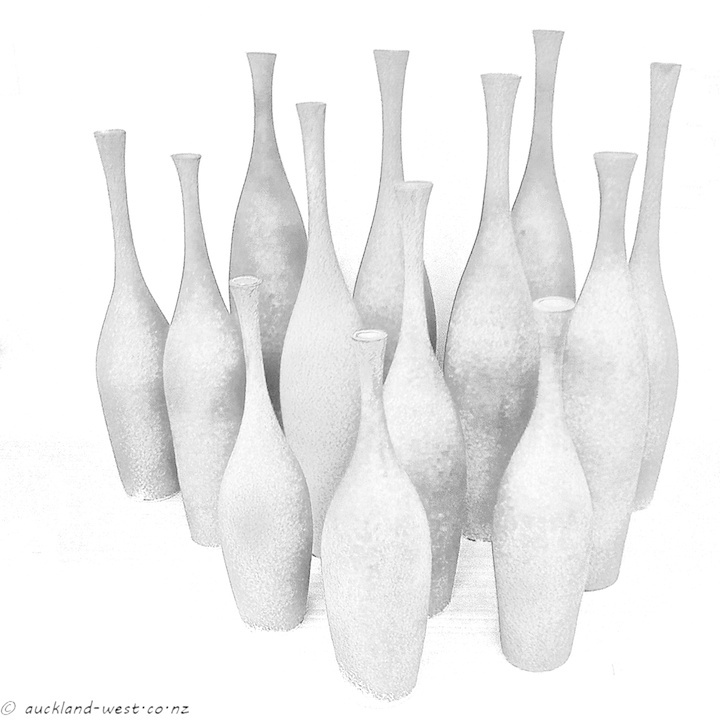 Black and white version of ceramic artist Richard Naylor‘s creation “13 Blue Bottles” which he showed at the Auckland Studio Potters last November. 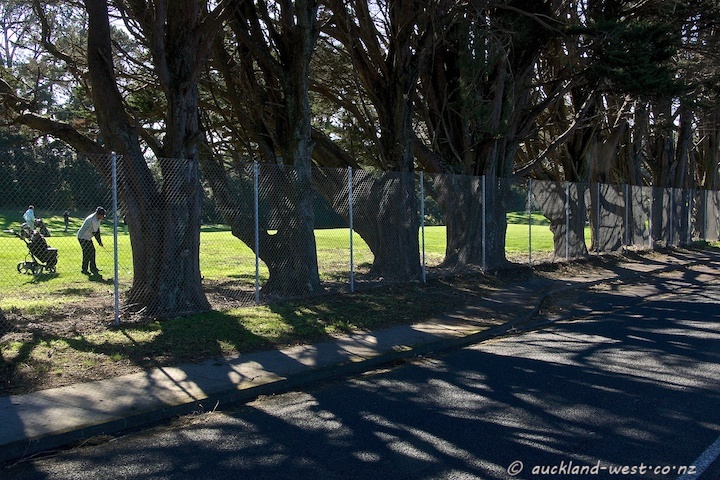 This fence separates Godley Road from Titirangi Golf Course.